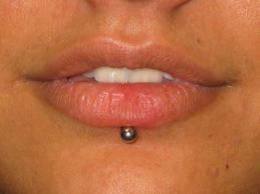 Numerous complications are associated with oral piercings, tattoos, and decorative grills. As these things become more popular, it is important to visit your dental hygienist so they may explain risks and complications associated with “mouth art” before you or your child decide to pursue it. Many body art studios where the procedures are performed are not as sanitary as they should be. Piercings that are not used with surgical grade stainless steel jewelry can cause either infections or allergic reactions in the mouth, which may lead to more serious health issues. 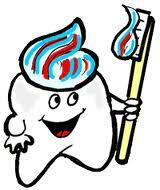 Good nutrition and oral hygiene care practiced at home are extremely important during the teen years. Proper diet, brushing, and flossing all play a significant role in maintaining a healthy smile and preserving teeth during these challenging years. Cavities and periodontal (gum) disease can be a threat to teens as well as adults. Recent survey results show that bleeding gums were most prevalent among adolescents and those three-fourths of 13-17 year-olds had gums that bled. Adolescents also have particular issues not shared by younger age groups. These concerns include: oral piercings, mouth guards, eating disorders and orthodontic care, as well as significant tooth decay. Dental decay (cavities) is the most common chronic disease of childhood, affecting 50 percent of children by middle childhood and nearly 70 percent by late adolescence. Chronic gingivitis is also common among children. The mildest form of periodontal disease, gingivitis is often caused by inadequate oral hygiene which leads to plaque buildup. Fortunately, most oral diseases can be prevented. Here are some of the most popular cosmetic dental procedures that can help you own that beautiful smile. 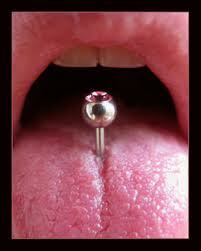 This procedure is usually done inside the dentist’s clinic but you can also get some products at some retail stores. Their prices vary so you can definitely find one that will suit every budget. 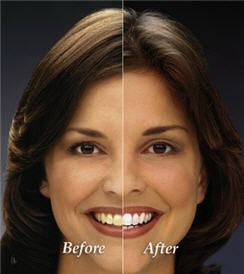 This kind of treatment is used to eliminate tooth stains and discoloration. 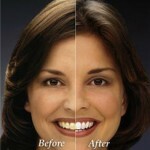 The results can be instantly achieved and you can enjoy whiter teeth for a long time. Sjogrens Syndrome (SS) is a chronic autoimmune rheumatic disease. It is the second most common rheumatoid arthritis (RA), affecting one to 4 million people. It typically begins in the fourth to sixth decade of life. The majority (90%) of SS suffers are middle-aged white perimenopausal females. SS has also been seen in men, children, and the aged. The prevalence ratio of women to men is 9:1. 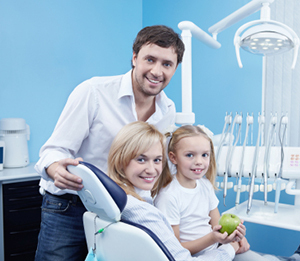 Preventing dental disease in children doesn’t have to be a nightmarish experience for you and your child. Here you will find valuable information on why brushing and flossing daily is so important for your little one’s health and wellness plus, you will learn how to make this task not only easier, but enjoyable at the same time. If left untreated, a nursing mother may develop thrush on her breast, although is not typically considered contagious. See your doctor or dentist and he may prescribe a medication to clear up the infection. If you would like more information or would like to schedule an appointment, give your Minnesota Family Dentistry a call. Children’s dental care is often overlooked, because many people believe those tiny baby teeth are just going to fall out one day, and be replaced with a set of second chance teeth. Still, caring for baby teeth should be considered one of the most valuable lessons to teach a child.